This is a famous optical feature on the moon, visible through telescopes. 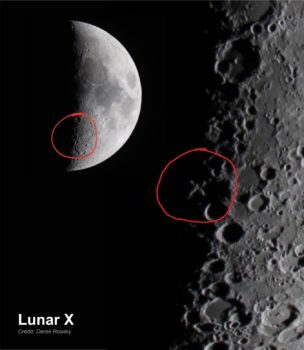 When the terminator or line between light and dark on the moon, which is located in just the right place, it appears as the letter X on the moon’s surface. Back to Astronomical Calendar for 2019 page.